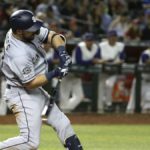 On a day off in St. Louis, the San Diego Padres shuffled their roster a bit. The Friars officially added Matt Wisler to their 25-man roster and sent Phil Maton to Triple-A, El Paso. A few days ago the San Diego Padres made a trade to acquire an old friend. Former top prospect Matt Wisler, who was traded in April of 2015 for Craig Kimbrel, was acquired from the Cincinnati Reds for Diomar Lopez, a young relief pitcher. 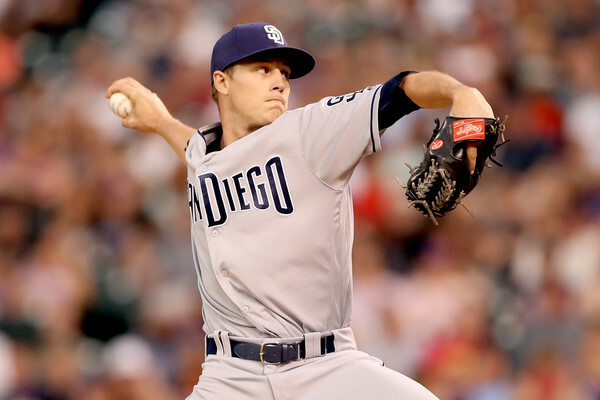 To make room for Wisler on the 25-man roster, the Padres elected to send down Phil Maton. Disappointing news for Maton, but the move is more of a roster crunch than anything else. Maton was off to a bit of a slow start with a 4.50 ERA, but it is really early in the season. He should return to San Diego at some point in 2019. The addition of Wisler is a surprise, but the right-handed pitcher had a very successful spring for the Reds. He struck out 16 batters in 12 innings pitched, while only walking one hitter. Walks have been the issue for Wisler in the past, as he’s allowed 109 career free bases in 338 innings pitched at the major league level. Darren Balsley is familiar with Wisler and will surely work some of his “magic” in helping the pitcher regain control. 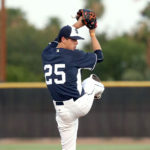 The Padres are familiar with Wisler who was the team’s 7th round selection in the 2011 draft out of high school. At 26, Wisler is still very young. 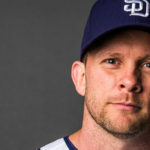 He is out of major league options though, so he will need to pitch well to keep his job with the Padres. 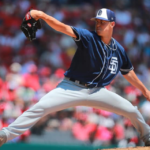 It will be interesting to see if the Padres put Wisler in the rotation eventually. He can eat some innings, and on a young staff, that could be important. Wisler is 16-23 in his major league career, with a 5.14 ERA and a 1.393 WHIP. He pitched well last season in two starts for the Reds, throwing 13 innings pitched and recording a 2.03 ERA and a 0.970 WHIP. There is an ability with the young man. 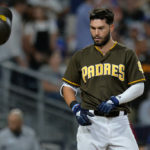 Perhaps the Padres can unlock more of it in 2019. S Mitchell was designated for assignment and his 40-man spot and 25-man spot were taken by Socrates Brito. Then Brito was DFA’d and his 40 and 25 man spots were taken by Nick Margevicius. 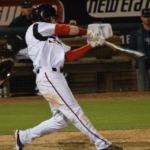 Then a minor leaguers was traded for Matt Wisler, and Jacob Nix was put on the 60-day IL, opening up a 40-man spot for Wisler, and Phil Maton was optioned to El Paso to open a 25-man spot for Wisler. Have I got that right? 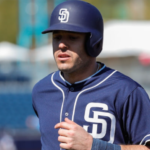 That’s a busy week-plus for AJ Preller! So now there are four pitchers and an oufielder on the 40-man roster, leaving two pitchers left on the 10 day IL, Miguel Diaz and Brett Kennedy. Any more moves requiring a 40-man spot, and those two are prime candidates for the 60-day IL, unless a player already on the 40-man gets traded. Phew! Keeping track is getting tough.